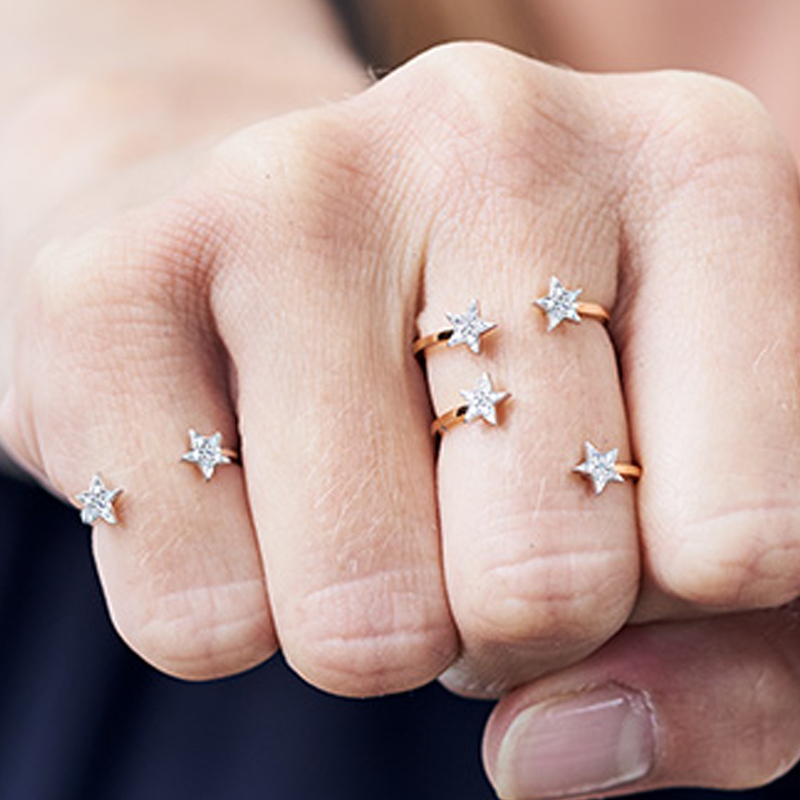 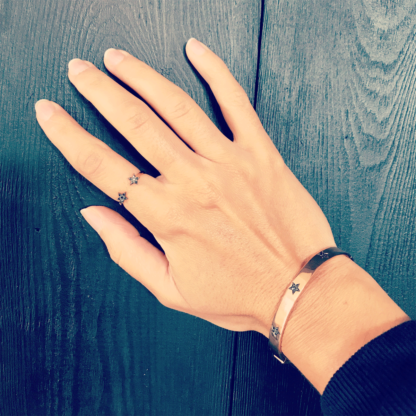 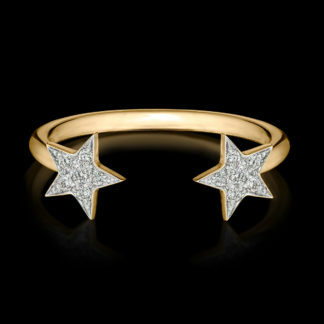 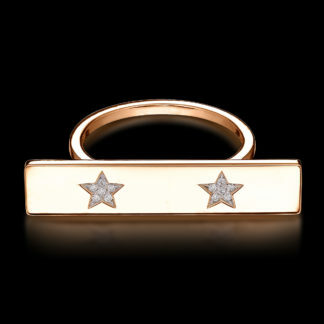 The Pinky Ring from The Prince Of Lucky Stars Collection. 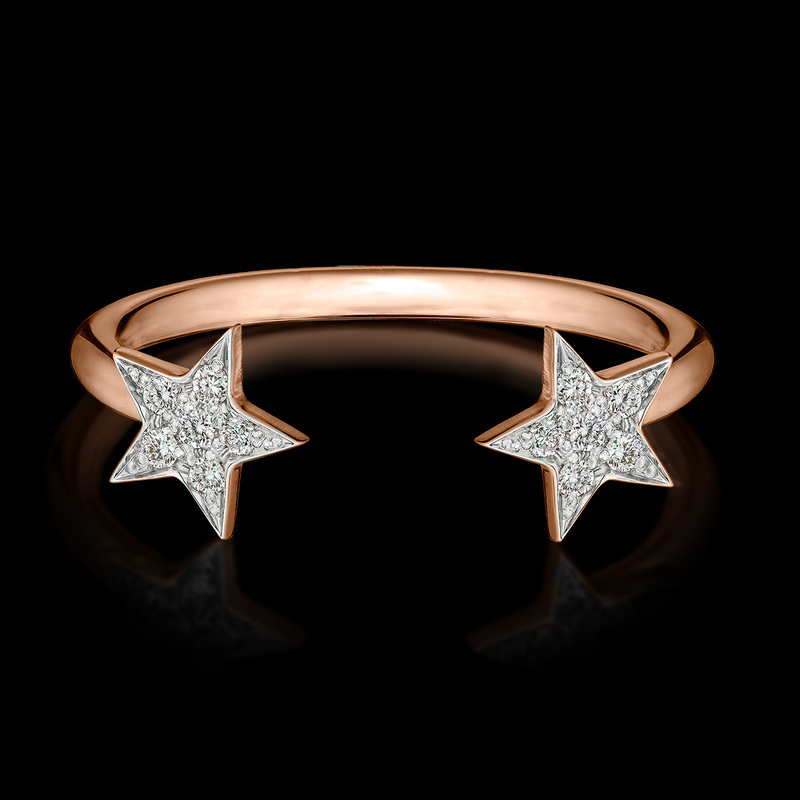 Here: PINKY ring THE PRINCE OF LUCKY STARS in 18k pink gold and 2 white diamond stars. 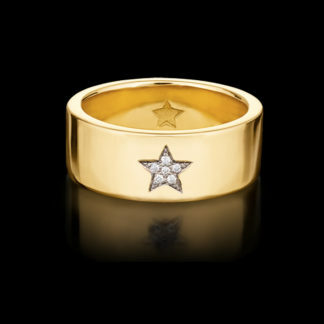 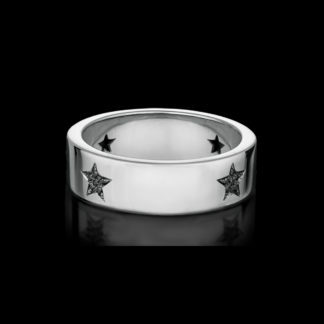 Price: From 470€ (incl VAT) for the PINKY ring in 18k gold with 2 black diamond stars.